The hunt for life in other parts of the universe is on—but how are scientists going about it, and what does it mean to discover life, anyway? This Digital Teaching Box contains classroom-tested, NGSS-aligned resources for teaching about life and the search for life away from Earth. Building and observing Winogradsky columns are a great way to give students a close-up look at how life functions. Here’s everything you’ll need to make the columns and make them work for your classroom. I introduce my previously made Winogradsky column stuffed with food (paper, penny, nails, and egg yolk), then have each student build a Winogradsky column using the most fine-grained, natural, “non-live” media they can find (and checking with me on the definition of “natural”—it’s pretty expansive) in a big test tube. They can use school dirt, mud, beach sand, concrete mix from the sidewalk, or something else, then set it up, top it with water and a cap (aerated), take photos, and leave it in the sun for later. Can we find, in our solar system, evidence of life that is not on Earth? That’s what we’re going to try to figure out. You can make mini-Winogradsky columns in large test tubes. Return to look at the Winogradsky columns after a few weeks or months, preferably after doing other activities on the traits of life and life that is not on Earth. Why do we assume there is life away from Earth? Because there’s lots of it here, even in arid, “dead,” media, under the right conditions. So let’s come up with a lowest-common-denominator definition of what life looks like so we can recognize it when we see it. What’s the absolute minimum of general conditions we need to find life? I make sure we get gradients (of pH, gravitation, light, temperature, ionizing radiation, phase change thresholds, specific elements or minerals, pressure, solid templates for liquid mixes, etc., specifically mentioning black smokers and cold seeps, clay and clay brines, and the various coral types) and put in a plug for fluids (instead of solid-state conditions) and that life changes its environment, but any definition they settle on, they can use. Students will continue to work on their definitions throughout this project, so they need a few pages at the start of this lab in their lab books where they can write their definitions and periodically revisit them to reexamine their ideas and assumptions. This is an introduction to the Drake Equation, and a chance to fill in the blanks. The Drake Equation is an attempt to quantify the likelihood of life in the universe. When Drake initially created the equation, a number could be estimated for only one of the variables. Now we have decent data on three of the variables, but getting data for this equation is a work in progress. Give one worksheet per student, but have them work together. Discuss as a class which ideas are the best-supported..
You may want to review heavy elements in astronomy and briefly talk about generations of stars and how heavier elements are made. This is an introduction to SETI, the radio search for extraterrestrial intelligence, and a prompt for thinking about the vocabulary of astronomy and how it reflects political, physical, and cultural trends. The concept of “orders of magnitude” is very important in astronomy. This might be a good place to insert an activity or lesson on that concept. Resource 4: Why Is Stuff Where It Is? Why are things in the places they are? This activity uses the example of SETI being in Mountain View to try to answer this question. Do the activity and keep those maps (posted, if possible) because you’ll be referring to them later. Introduce the Pace Layers and discuss which Pace Layers were involved. It’s good to spend some time talking through other examples with the Pace Layers, as they will be coming up again later. Remember, there’s nothing absolute or infallible about this organizing idea; different people could argue for different layers or different orders of layers or different arrow lengths and directions. I tell students that I disagree with the idea that nature operates at the slowest pace because a large number of natural phenomena can happen very rapidly (insect evolution with insecticides, changes when a tipping point is crossed, weather). The connection between this activity and the rest of the unit appears trivial at first, and it should. It should seem as if exploring how SETI ended up in California is a sidebar activity. It’s only toward the end that they should begin to understand that humans respond like all other organisms to changes in environment, and that this macro-example might be a good framework for looking for microscopic life. We used large paper maps and put them high on the wall, side by side. Projected overlays or transparencies might be interesting to try as well. Interesting things to note, and help students discover: The After careers of the women were clearly different from those of the men. The After careers of the African-American men were clearly different from that of the non-African-American men. There is a clear East Coast/West Coast split by age (younger going west, older going east.) And please don’t skip the looking up and talking through information on each one of these people—there are a few spies, there’s the first person to die from an atomic weapon, and more to be discovered. If you find any information on Frances Dunne, Mary Ford, Thelma Northrup, or Jane Roberg, please add it to the list! An extension pattern to pursue, or to bring up later, is that the Manhattan Project happened in the 1940s. Twenty years after that, we have the space program. Twenty years after that, we have the computer revolution. Twenty years after that, we have the biotech revolution. Why? Were these the results of resources and people being concentrated in the same places at the same time? This is a short article that talks about the problems with looking for intelligent life from earth. So, does SETI answer the question about life that is not on earth? Assign this reading as homework, then discuss (and define terms and analyze his argument) in class. But what if the question and method are too narrow? What if we didn’t worry about intelligent life but instead just looked for life—as a first step, instead of jumping straight to step nine? This is one possible place to insert a history of the Earth-scaling activity. I like to have students work together in large groups (whole class, when possible) and make the biggest possible scale at school—often the length of the football field plus the track on either side. Here's a nice, simple timeline where they’ve done everything for you. In this activity, students are given a set of different definitions of life that they need to sort, organize, and analyze with the guidance of a worksheet and a “guided walking tour” of the results (this is a poster session. Students will need to cut the cards apart. After the activity, students do a guided tour of their organizing methods and discuss as a class. Then give them the answer key and discuss whether that changes their organizations or their personal definitions and why. Please feel free to update the first two definitions and add more to the list, but I strongly suggest keeping the older and the non-biology definitions, as it makes the discussion more interesting and opens possibilities for the students when we move off-planet. This activity takes two full days for discussion and looking things up, but it was lively and worth the time. End with reading the Carol Cleland quote at the end of the key. By the time you read it, students will already have arrived at some of what she says, and this will nudge them farther in their thinking. Resource 7: How Did Life Start? This article discusses life, including seven different theories for how it began and some questions about the boundary between the living and the non-living. How do we think life started? Read and discuss “7 Theories on the Origin of Life.” Refer to their definition of life as a work in progress and compare to the various ideas for life’s origins. Include the idea that there isn’t a hard-and-fast distinction between life and non-life when looking at a wide variety of stuff and not just individual organisms. For example, is a star alive? The Community Clay idea is really, really interesting. It works with Deep-Sea Vents, it works on a world covered in ice…I think we’ve got a winner here. Resource 8: Can We See Life At a Distance? Reading and a worksheet about looking for life on earth from space, plus a review of some chemical reactions that may be of interest. How could you hunt for signs of life off of this planet, given your specific definition of what life does? What are some clues you could look for or test for? Is there evidence of life causing changes visible over interplanetary distances? Pass out and have students read “Poisoned Planet” by Phil Plait, then answer questions on the Evidence of Life worksheet, with reference to the Some Chem Rxns Of Interest sheet. What tools do we have to hunt for life in our solar system but not on our planet? To do this lab activity, you’ll need spectroscopes, spectrum tubes, and spectrum tube power supplies or other ways to access spectra of various elements and molecules. I had my students can use their own cell phones. You’ll need a candle and matches and some sort of nonflammable surface to put them on. I suggest having a few rock and mineral guide books around, in addition to streak plates (the unglazed, white backs of tiles work), some dilute hydrochloric acid in dropper bottles (1M will get good reactions), rock or mineral samples to test (chalk, limestone, mudstone, quartz, some rocks lying around the school, or you can ask the students to bring some in), a Mohs hardness scale and maybe some items on the scale, and goggles. The Mohs lab is included for your information, but if you haven’t done a Mohs lab before, or would like that part more formally structured, this is a very good one. In this activity, students are randomly assigned locations in the solar system to search for life—and start looking. Draw locations from a hat: Mercury, Mars, the sun’s photosphere, Europa, Io, Venus, Titan, Neptune, a regular-period comet (Main Belt might be easiest), the outside of the International Space Station, Ceres, the Pluto-Charon system, and interplanetary space. Let students talk in groups, then show them “The Devil in the Dark.” Follow the episode with “They’re Made of Meat,” by Terry Bisson, read aloud as a class. I picked locations for the students to draw that would stretch their ideas of life and/or prove a set of conditions in which life can’t exist. The third possibility is that there just isn’t yet sufficient data one way or the other (this was especially true of the outer ice giants and their moons). The most resource- and boundary-rich locations are, to our current understanding, the most likely to have life. Try reading “They’re Made of Meat” with two readers, since it’s more a script than a short story. If you have people who can act but aren’t good sight-readers, maybe give them the story a day in advance. Tidal locking and general orbit information can be useful here. If you haven’t done anything with Kepler’s Laws yet, this is a good place to do those. I’ve included three Kepler activities. If you do the Kepler’s Law activities, talking about Molniya orbits and how and why they were developed is interesting and potentially useful for future engineering projects. Now that each student group has a location and an idea about where to look and/or what to look for, they need more details on the tools available to them. This section focuses on remote sensing. Byrd, Deborah, “How Close to Finding Alien Life?” Science Wire, June 25, 2015.
Cooper, Charles. “NASA scientist: evidence of alien life on meteorite.” CBS News, March 7, 2011. 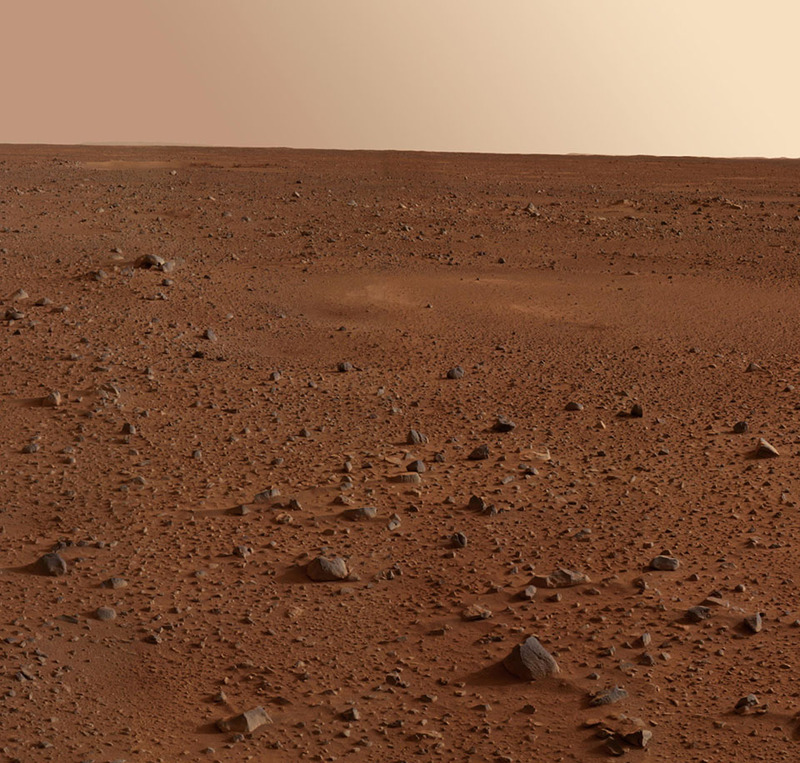 DNEWS, “Earth Fossil Find May Lead to Martian Discoveries.” Seeker, February 11, 2013. Emspak, Jesse. “What Earth’s oldest fossils mean for finding life on Mars.” Live Science, 2016. Hegdea, Siddharth et al. “Surface biosignatures of exo-Earths: remote detection of extraterrestrial life.” Proceedings of the National Academy of Sciences, 112 (13), 3886-3891. 2015. NASA, “NASA spots signs of life...on earth.” earthobservatory.nasa.gov, May 5, 2010. Seielstad, George and Foster, Jim. Earth Science Picture of the Day, September 12, 2016. Yirka, Bob, “Researchers find evidence of cavity-dwelling microbial life from 3 billion years ago.” Phys.org, December 28, 2015. When I taught this unit, I invited NASA scientists to visit and talk about remote sensing with my students. However, the Remote Sensing Lab packet covers the same material. Students begin by reading a one-page article from popular science magazine (“How Close to Finding Alien Life?” Byrd, 2015) then read the studies cited in the article, depending on how relevant each study is to the group’s work. The article “NASA Spots Signs Of Life…On Earth” is a must-read. These articles are a good start for the kind of materials students are going to be sifting through and searching for. The spectra of selected microbes, presented in the surface biosignatures study (Hegdea, 2015), turned out to be incredibly important. The authors are very reachable. Student groups start the hard work of collecting data to try to find life at their locations. To do independent research, students will need access to various agency internet sites (NASA, ESA, CNSA, CRISP, COSPAR, ISRO, JAXA, the Russian Federal Space Agency, the Soviet Space Program [especially for Venus], SANSA), periodicals, and journals. From here on, groups will primarily work on their own locations, with periodic whole-group and similar-situation check-ins, colloquia, and requests for information (to put it more clearly, there will be groups with similar situations who may share resources or bounce ideas off each other more often). Individual needs drive what happens in class and out. Students work in their groups on answering the questions, with frequent breaks to post questions to the whole group, recommend resources, or share data. Student groups learn how to write up their study for possible publication. Student groups work on refining their data searches, obtaining information, and writing up their papers. The Potential Publication Sources list gives them an idea of how much is out there—it is nowhere near exhaustive. The sample abstract is the prompt to have each group write its first-draft abstract; this will focus their research and writing. The Data Analysis Worksheet helps with making sure the data is relevant and that it is evidence for their claim. Pass out the Scientific Citation Formats info and have the groups work through, and turn in, each section before they can start work on the next section, Scientific Paper Worksheet Parts 1, 2, and 3. If Part 1 requires rewriting, it must be done before going on to Part 2, etc. Each group should expect to write multiple drafts of each section of their study. There are frequent paper swaps, where groups will swap, read, critique, question, and discuss papers. There are also frequent colloquia with presentations of work to date or asking for assistance with data, or missions. Groups with insufficient data (mostly due to mission number and type) will be designing the missions necessary to obtain the data they need, and justifying the need for these missions by making their arguments for life in a particular location as strong as possible. There are remotely operated, free, Earth-based telescopes that students can call up observations on; this information was presented to my students, but none of the groups could get the data they needed this way. We found writing the abstract first gave the groups focus, and as they worked, they were constantly rewriting it. One publisher demanded a hypothesis section, which that group put together when it was demanded. One group’s publisher had its own format for citation, especially of tables and graphs. Impress upon the students that, if they need to include images, data, or figures from other papers, they must get permission from the authors of the papers (or copyright owners, if they are different). Students present their work in poster talk sessions. They also answer questions, especially about how to advance the research, whether their chosen approach is a promising one to follow up on and/or whether there are variations on the research approach to recommend, whether there have been connections made and to whom, and publication stories to be told. We were lucky enough, at this point, to arrange a field trip to NASA Ames, where we got to spend time in a remote sensing lab, among other things. Cells aren’t just the basis of life; they’re the basis of biology learning. Humans haven’t yet figured out how to turn energy from the sun into chemical energy, or how to use that energy to support life—but producers have. What is life, and how is life maintained? This work was supported by the Office of the Director, National Institutes of Health under Science Education Partnership Award Number R25OD016525. The content is solely the responsibility of the authors and does not necessarily represent the official views of the NIH.